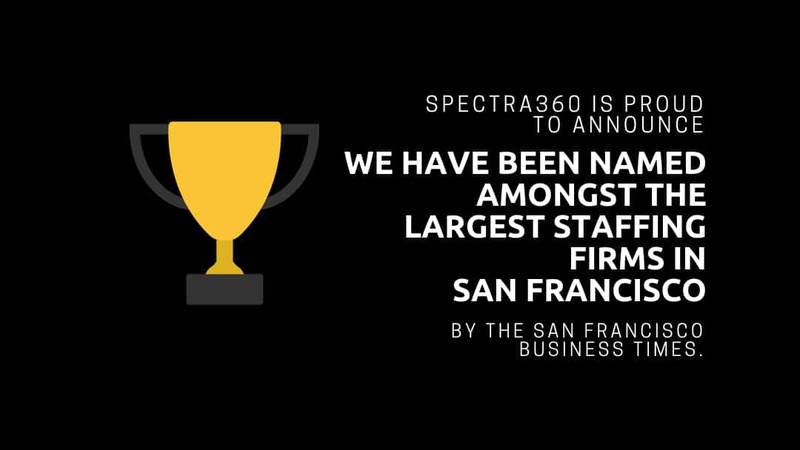 Spectra360 is one of the nation’s fastest-growing talent management agencies. We introduce talented individuals to logistics companies that are in need of their specific expertise to keep the business growing. We work on a Contract, Temp to Hire, Direct Hire, or Managed Services basis. We didn’t invent the recruiting model, but we make it better by ensuring the right fit every time, for our talent and our clients. Retention is difficult and hiring is expensive, so we invest time with every candidate to match personality, drive, and values with the client that needs them. We are building our reputation for personalized service by saving clients the time and money that should be spent cultivating their business. Finding the experts that can complete your project AND fit in with your team on a short-term basis is time-consuming, difficult, and expensive. Luckily, it’s our niche. Some clients use this as the first step in working with us, but rarely is it the last. We make life easier by finding, interviewing, and integrating employees into your team quickly and without hiccups. Need new employees to build out your team? We can test for talent and interview for culture so that your newest employee can fit in quickly and start contributing immediately. We build project teams that work as an extension of your business, but without the additional headache of onboarding, retention, or potential offboarding. Spectra360 Is A Proud Supporter Of Operation Gratitude And Their Work In Supporting Our Nation’s Troops. Operation Gratitude’s mission is to lift the spirits and meet the evolving needs of the Military and First Responder communities and provide volunteer opportunities for civilians anywhere in America to express their appreciation to all who serve our nation. Spectra360 is a proud employer of our nation’s veterans so, when we were introduced to Operation Gratitude, we were excited to get involved. As a team, we held our first volunteer get together in 2018 and hope to make it an annual event. If you’re interested in getting involved or learning more, contact us by clicking here.